Trev here — VO2GoGo instructor for the monthly intensives in Hollywood. Today, I’d like to share 3 “mindset” books that have informed and shaped my approach to creative work in huge ways. Books full of lessons, tools, and new language to wrap around age-old concepts. Books that bring clarity to that often foggy intersection of creativity and business—especially voiceover. Each of these dive deep into creative work in different ways. But together, they offer a comprehensive roadmap for navigating some of the harder-to-define aspects of creative careers—especially when it comes to concepts like rituals and routines, marketing, and practice. A kick-in-the-pants creative battle cry and philosophical guidebook. For me, finally having language to wrap around the creative process — like the difference between Amateurs and Professionals, and battling Resistance—changed everything. A fantastic guide on how to find and build your creative tribe, how to create meaningful relationships, and how market yourself without turning into human spam. I also love Austin’s first book, Steal Like An Artist, and his weekly newsletter. This book is all about the small, seemingly insignificant choices we make every day, and how they compound over time, eventually becoming our destiny. As Jeff says, it’s the little things that make all the difference—those seemingly inconsequential choices we make every day that are both easy to do… and easy not to do. 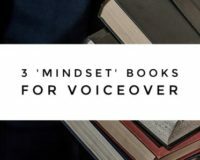 At the intersection of creativity and #VO business, these 3 ‘mindset’ books bring much needed clarity. 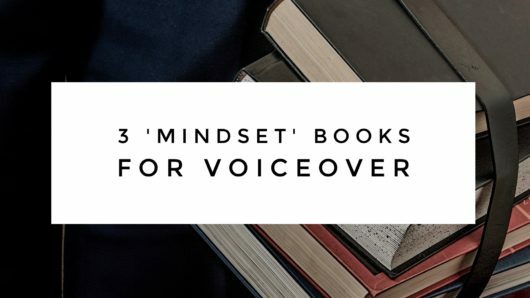 So there they are: 3 mindset books that can help shape and inform your voiceover career. I hope you enjoy and benefit from them as much as I have. What ‘mindset’ creativity and business books would you recommend for voiceover artists? Feel free to share in the comments. I’m reading The Art of Possibility by Roz and Ben Zander right now and it’s one of the best mindset books I’ve ever read (and I’ve read my fair share–lol). It’s practices aren’t easy but they will blow your mind. These are great! Thank you. I didn’t know Austin Kleon until I read about him here. Wonderful stuff. Very helpful. If you don’t want to read The Art Of War, here’s the audiobook, which I happened to narrate. Just to be clear, the book Trevor recommended in the article was not Sun Tzu’s The Art of War, but rather Steven Pressfield’s The War of Art. Both are great reading/listening.